The 2019 General elections is here. 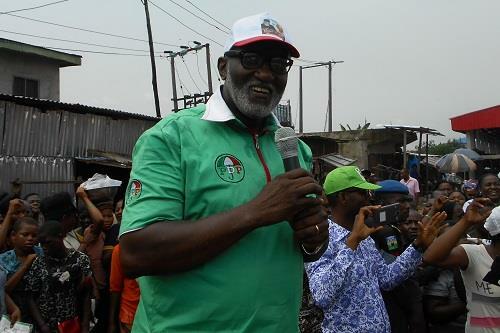 The Chairman, Anambra State Chapter of Atiku/Obi Presidential Campaign Council, Mr. Oseloka H. Obaze, has warned that the management and rhetoric of 2019 elections might be a potential tripwire for Nigeria, and as such, should be handled with care. Obaze made this charge in Abuja during the third annual OPAN New Media Conference organized by Online Publishers Association of Nigeria (OPAN). Obaze, who was represented by Chiagozie Udeh, a Research Associate at Selonnes Consult, said the security situation in the North East, herders-farmers conflict, pockets of insecurity in Zamfara and Kastina states, national unity strained by Government’s policy and precepts, occupy the minds of the Nigerian public as 2019 elections approach. Obaze said these vexatious issues coupled with the fact that Nigerians are hungry and therefore unhappy, should compel the electoral umpire – INEC – to ensure that the forthcoming elections are free, fair and sufficiently credible. He called on candidates, who he noted have mostly engaged the campaigns with civility and decorum, to rein in on their supporters to tone down their rhetoric, both online and offline; as trying to whip up political sentiments could exacerbate tense situations. Obaze also called on media practitioners to avoid sensational headlines and news reports capable of stoking conflicts. According to him, the mass media has a duty to report the news fairly and accurately, minding the several tripwires of Nigeria’s existence as a country. He said Nigeria has a history of post-election crisis, which cannot be allowed to repeat in 2019.